Whether you have a manufactured stove or homemade, it will still work flawlessly. 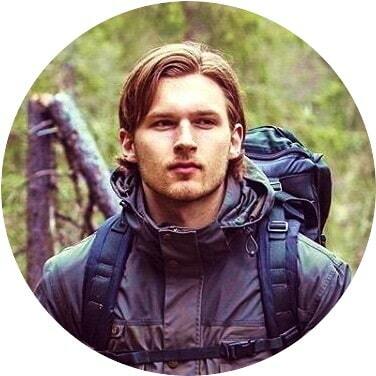 There is still a chance that the DIY camp stove to become your favorite and preferred way of cooking wherever you go hiking, mountaineering or simply do the camp stove with some nearby items while in an emergency situation. Whichever the case, you will love how lightweight you can travel next time you go camping and how easy the setting is. In this article we will offer you several tutorials for you to experiment with, try and pick your favorite. We promise you will enjoy making any of these stoves, which you can then show to your friends or family when you go camping. Kids may find it especially interesting, but keep them at a safe distance – it’s a stove that produces flame after all it can burn anything coming close to the flames. It is producing fire, so beware how you handle it while you cook with it. Also, make sure that when you prepare your cooking the stove is positioned in a nearly perfect flat surface, or there is a risk for someone to inadvertently turn it over and spill the fuel. 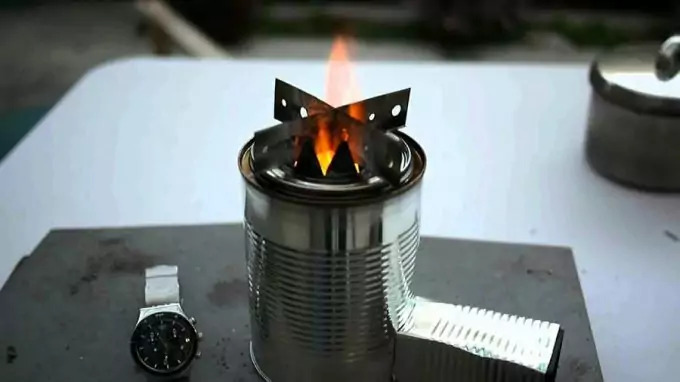 You will be surprised how easy it is to make a camp stove using a beer can. So, let’s begin. Get a beer can of about 500ml; even a smaller metal can will work. Soda cans will also do the trick. Get a sharp enough knife and begin cutting the top part of the beer right where the edge meets the flat top, exactly where the opening is. The cutting edge must be nearly perfect and not rugged or quickly done. Be very careful with making it so you can have a working stove later. Next take a pair of scissors and cut the entire can right at the middle. Take the bottom part and refine the cutting by reducing it so that the bottom part which you will use has a perfect circle and you can put a sheet of paper and it will remain horizontal. The height of this part should be about an inch or an inch and a half. Your next step is to take the two beer can halves and place them next to each other. The top edge of the last part you cut, should reach the second piece’s second edge from top to bottom. Then mark where the first piece’s bottom edge touches the second can half, and you need to cut the second half exactly there (shorten it). Again, make the cutting very carefully, so after you place it on a flat surface it will remain straight upright. Now that you have two shortened beer can pieces, take the one with the open edge (the flat top which you cut in the beginning of the tutorial). This piece will have the pockets for the fuel to evaporate and essentially create the flames. 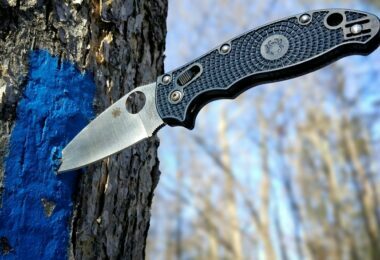 As you prepare that piece, take a small pocket knife and begin denting ‘pockets’ (combustion chamber) across the can piece. These dents should be vertical if you place the can piece upright. The pockets will drive up the evaporating fuel. Make the dents so that they will only provide tiny openings at the top of each pocket otherwise your fuel would burn really quickly. Now that you’re done with that, take the top can piece and slide it into the bottom beer can piece. It should be easy. Push it so that the dents you made can provide openings for the fuel to burn. One final little thing to do: take a sharp metal pointy edge and try to make a very small indentation on the ‘sloppy’ side of your combustion chamber beer can. The hole should be very tiny, so you can even use a sharp needle to pierce the metal can. Now that your little gadget is set up, it’s time to fill it with the fuel. We will use alcohol for the purposes of this tutorial. You need to find medical alcohol or surgical spirit. It should be a very high alcoholic percent – 96%. Of course, you can obtain such alcohol from the local pharmacy and it’s cheap enough. 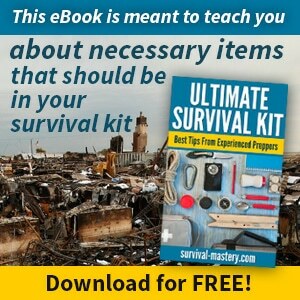 Fill the camp stove with no more than a finger height of alcohol fuel. Use a BBQ lighter and point it at the fuel. It will ignite immediately. Place the cooking pot on the stove and it’s time to watch a water, tea, coffee or an entire meal get cooked/boiled. Since the setting is very simple, you can achieve this effect nearly anywhere you’re located as long as you have a soda or beer can, scissors and a medical alcohol. Other than that isn’t necessary. You can carry your fuel in a backpack, or even a few more bottles if you’re planning on longer cooking sessions. This stove will make sure that you will always have fire and will light in colder conditions or in high elevation, unlike butane-based stoves. However, if you feel this to be a flimsy construction that may injure you or your children, it’s best to consider buying a camping stove. If you want to know more about features and prices, take a look at our in-depth reviews on the best stoves for camping. The following is a bit more advanced, but can provide you with a much more solid, portable and very compact ready-made stove. You will then be able to transport it anywhere with you. It weighs nearly nothing and since it is very light you may crush it sometimes, due to bad backpacking, but you can make it again. Again, prepare two beer/soda cans and cut it in half. Cut the bottom parts of both cans. Use a sharp knife or even a razor blade, but make sure that the edges are flat and have no sharp dents on them. You can use a file or sandpaper to make the edges a bit smoother and softer. You don’t want them to be sharp and nearly cutting you. For one of the two beer can bottoms, you need to remove the inner circular section. Again, use a sharp knife or a similar tool to do that. Next, you need to prepare a 3M fiber glass. Mark a small rectangular piece on the fiberglass, so that it will fit nicely along the width of the beer bottom can. Cut this rectangle using scissors. Prepare also a grommet kit, since you will need to make a hole in the middle of the fiberglass. This will later be the opening for the stove, where you will be able to fill in the fuel. Use the grommet kit, punch a hole in the middle and add the grommet pieces on both sides of the fiberglass, so that they essentially are the hole in its middle. Lock the grommet firmly, so it doesn’t move or is loose. Then take the two can pieces and lay them facing downwards. Place the fiberglass in between the two can pieces and lock firmly with the second can on top. If you turn that setting around you will see the opening you cut earlier in the can that is now the grommet and fiberglass entirely. Prepare a nice insulation and begin fitting it inside between the two cans. Additionally, you can add another layer of fiberglass, underneath the first fiberglass layer. This will give further protection against fuel spillage. Finally, prepare a third can bottom piece, just like you did in the beginning and nicely fit it as a bottom to the entire stove. It may take a bit of work to make everything fit together nicely, but eventually it will work. You don’t need any glue, since this won’t be able to get loose or detached. For the next part you can use a measuring tool and some duct tape. Use the tape and run it around the stove to measure the circumference. Then mark the beginning of the tape with a pencil or felt-tip marker. Remove the tape and place it next to a ruler. You need to make where your opening holes are going to be. They need to be evenly spaced from each other. You can set to mark 16 holes if you need, measure the length of the entire can circumference and divide that by 16. The end result should be the space between each hole. With that in mind, begin setting marks for each hole right on the tape. Next, attach the tape once more to the can. Now that you know where your holes will be, begin puncturing the can. You can use anything that’s comfortable for you, but also that won’t damage the stove itself, if you push too hard. This should be enough with setting your stove. It’s time to use some alcohol for the fuel and see how it works. Take the fuel and sip it right through the grommet hole you made earlier. 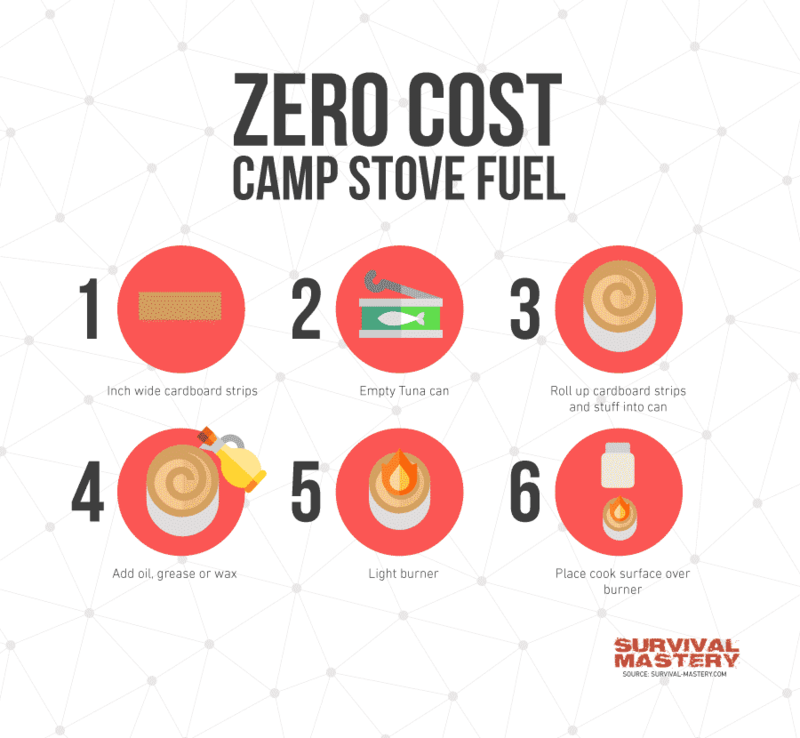 Try not to spill any fuel while transferring it into the stove, or the fuel will burn and evaporate from where the spillage occurred. Use a lighter, BBQ lighter or other ignition system to light the fuel. This will produce very high temperatures so you need to be careful if you decide to handle it or move it while it’s burning. It’s not advisable to do so in any case. If you’re ready to cook something, take a grid or some type of grate, on which to place the pot, while the stove is below the grate. Also, since we used insulation even if the stove tips over, the fuel won’t spill out. 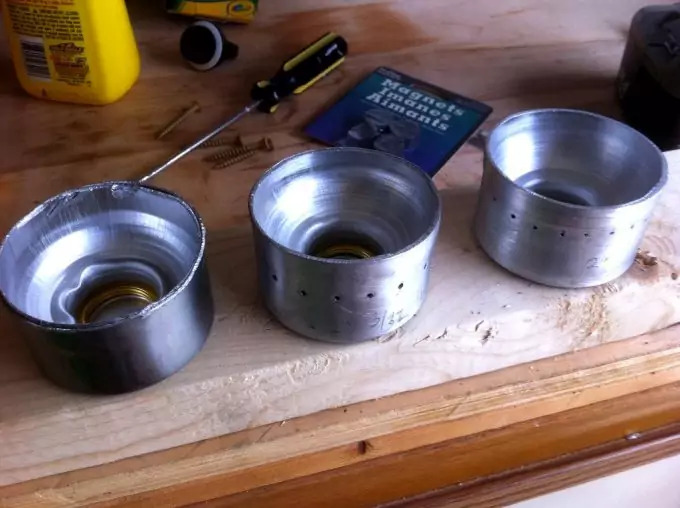 To see all this in practice, watch this YouTube tutorial on making an alcohol camping stove. Of course, you can also buy one since the price is not that high. 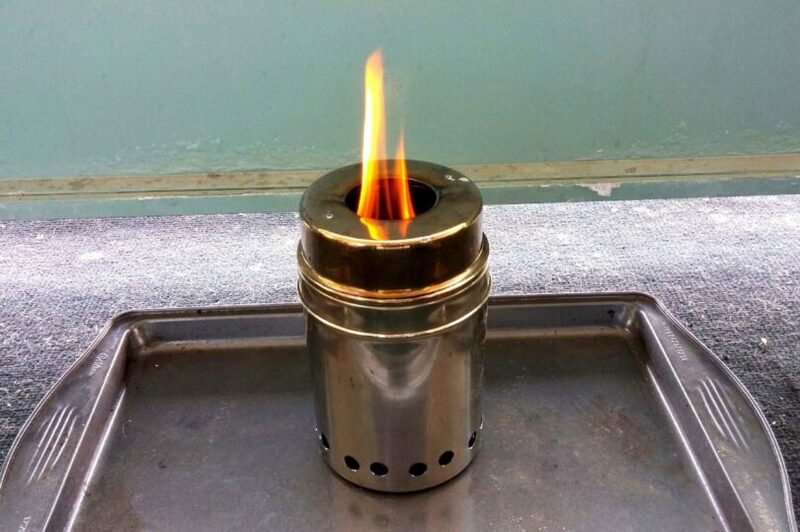 So, if you’re not the DIY kind of person, please take a look at our reviews on the best alcohol stove for traveling. This tutorial will be pretty easy, but we will use another metal container, instead of a beer can. You can get very cheap aluminum water bottle from a dollar store. Prepare to cut both top and bottom ends of the water bottle. Mark a good line where you will be cutting and use a machine to cut through the aluminum, as it’s much harder to puncture than the beer cans. As these two ends are removed from the water bottle you will not be needing the middle part, so you can discard that. Take the bottom half, place it on the table (up top) and then put in it the bottle’s opening (facing down and inward the bottom half). Try to fit that part as tightly in as possible – you may even have to use a hammer to hit that part in. When you’ve finished with that part you have the setting ready. Take a permanent marker and mark 16 evenly spaced dots, where you will have to drill holes through the aluminum. The fuel will burn/evaporate from these holes (the combustion chambers from the first tutorial). Prepare a drilling machine to make the holes. These must be located below the place where the two aluminum pieces fit together, otherwise you will be smothering the fuel and it will burn simply through the bottle’s neck, and this isn’t what you want. If you have some marker left on the stove from when you marked the holes, etc. 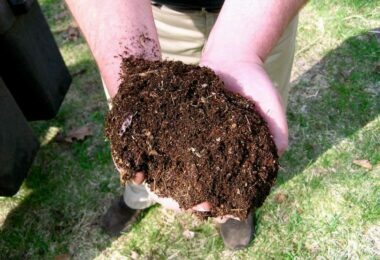 you can remove that with alcohol (the same fuel you will be using) and a tissue or a cotton ball. You’re basically done with this stove. Try and test it to see how it works. Depending on the quality of the holes, some may start immediately, others may start a bit later. You can move the stove a bit to make them light up. Use a lighter or a fire starter to light it up. You can either use a grate where to place your cooking pot, or you can put it directly on top of the stove, but keep in mind that, if you’re in the wilderness, you may not have very flat areas, so you may overturn your cooking pot by accident. You better use some grid or grate to securely place your pot. Watch how to make this stove in this YouTube video. 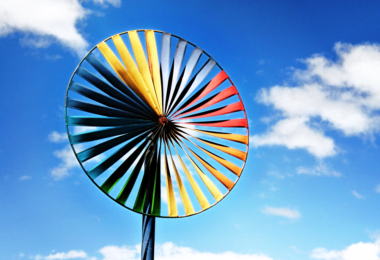 The above DIY camp stoves can have hundreds of variations depending on your imagination. 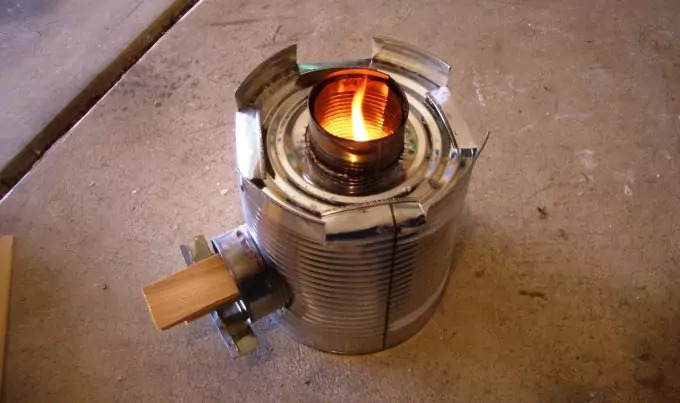 You can always try different methods and items, but as long as you keep the main important parts the same, you will have a nice working homemade camping stove.